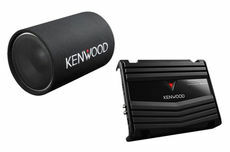 Great way to get better sound! 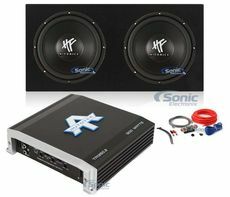 Hifonics HFX12D4 Door Buster Dual Bass Package! 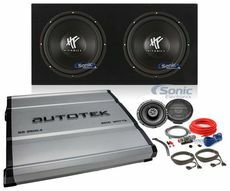 1600W Max (800W RMS) Dual 12" HF Series Dual 4 ohm Subwoofers with Enclosure + Autotek Amp + Amp Kit | Everything You Need to Get Loud! 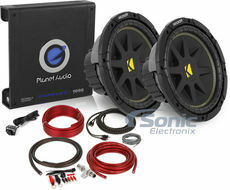 Hifonics HFX12D4 Door Buster Blowout Package! 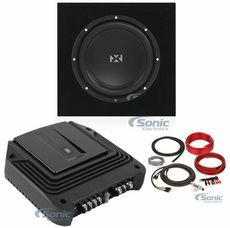 1600W Max (800W RMS) Dual 12" HF Series Dual 4 ohm Subwoofers with Enclosure + 6.5" Speakers + Autotek Amp + Amp Kit | Everything You Need to Get Loud! 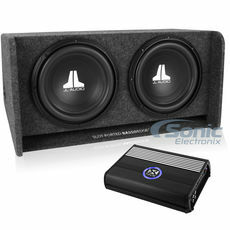 Driving while listening to music on a superior car audio system is one of life?s great joys. No matter what type of car you have, upgrading the factory stereo with one of our deluxe car audio systems will have you rocking in your seat and turning heads. 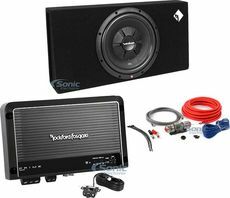 Many mid-range cars come with stock sound systems that lack power and sound quality, as well as other valuable features. 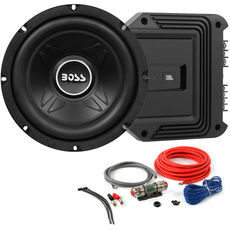 The most common way people upgrade their car stereos is by installing a new head piece. This is the in-dash component that allows you to control everything and play CDs, AM/FM radio, and MP3s. However, this often has little effect on the quality or max output levels, because most head pieces have very small internal amps. 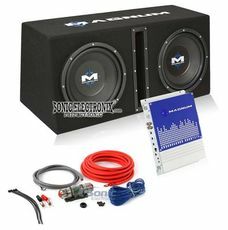 Car amplifiers and car subwoofers are necessary to really increase the power of car audio systems and get better sound quality. 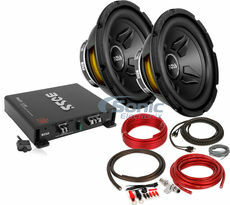 A set of subs increases the base output. 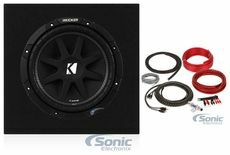 Most people associate these with loud, thumping hip hop that rattles the bumper, but even audiophiles who don?t want to shake a tooth loose can benefit from adding a quality subwoofer to make the lows sound clearer. 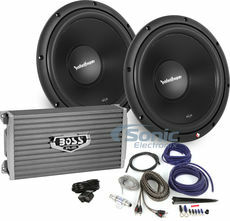 Replacing the main speakers with excellent tweeters provides the same boost in power and quality for high frequencies. The last piece of the puzzle is an amplifier. 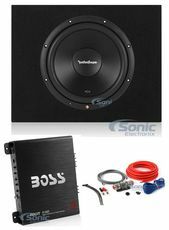 The amplifier that comes in most head pieces cannot power upgraded speakers, so a new amp is necessary. 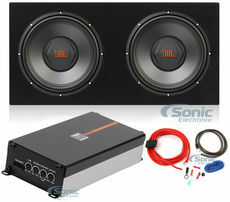 This increases the power of the signal coming from the stereo and can split it into the high and low frequencies. It is important for anyone considering installing this kind of set up to be sure that the new components are not a downgrade in quality from the stock components. 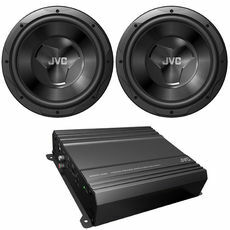 Higher end vehicles come with very nice speakers and internal amps, so it is worth checking before buying new stereo gear. 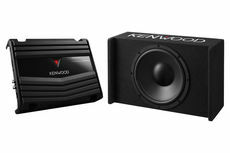 Of course, if coordinating all the different components necessary to upgrade your car stereo seems daunting, then you may appreciate our all-inclusive car audio kits. 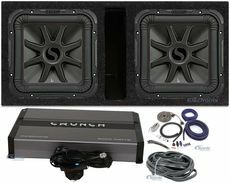 They come with a new head piece, a subwoofer and speaker box, front speakers, the necessary amp, and all wiring. 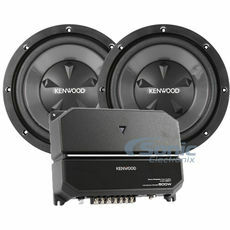 This makes the process of making your car into a spot for great music even easier!